Nearly 42% of participants in a 2001 breast cancer study believed that their malignancy was caused by stress. Although this fact is still subjective, if we pair it with the insights that some hormones (such as estrogen) encourage tumor growth and that hormone production is intimately affected by psychological stress then we start to see a picture. This leads Dr. Maté to deduce that “an intimate relationship exists between the brain and the immune system and that an individual’s emotional makeup and their response to continued stress may indeed be causative of many diseases”. Instead of seeing our bodies separated in different operating systems (like the endocrine, immune, and nervous), Maté, and several like-minded experts, propose to see these systems as parts of a super system whose purpose is the development and survival of each body. This super system is called the psychoneuroimmunoendocrine (PNI) system and it regulates the functions of our organs and glands that determine our psychological and physiological balance. These subsystems interconnect to recognize threats and allow us to respond with the appropriate coordinated behavioral and biochemical changes. The information network of our supersystem is our nervous system. Our endocrine glands generate the appropriate hormones based on the information delivered through our nervous system. Here’s where our emotional well being comes into play. 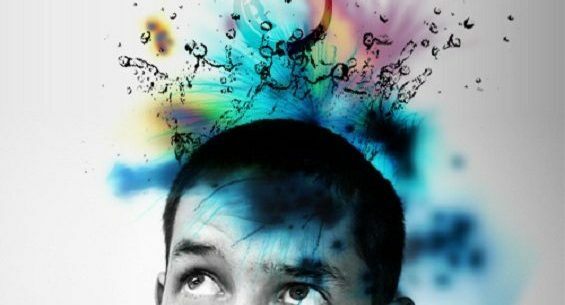 Our brain is the main center where we interpret the sensorial information coming from our bodies that we call emotions. One of its main functions is to help us reach homeostasis on a regular basis. Repressing emotions could be healthy response for a short period time; however, long periods of repression throw our nervous system off balance. Because our brain is a vital part of our nervous system, key unprocessed psychological stressors will create a negative domino effect that will end with a somatic (physical) manifestation of a disease and psychological conditions such as post traumatic stress disorder (PTSD). This is why we can’t sacrifice our emotional well-being thinking it’s unrelated to our body. How we feel and our capacity to reach homeostasis (our natural balanced state) on a regular basis ultimately define our PNI’s capabilities to meet any challenges and to thrive in life. This entry was posted in here and now, Mental Health, Psychotherapy. Bookmark the permalink.